The Adidas Telstar 18 ball travelled a two-day space flight to the International Space Station (ISS), about 400 kilometres above the earth. The ISS laboratory is a rare example of American and Russian cooperation, has been orbiting Earth at about 28,000 kilometres per hour since 1998. 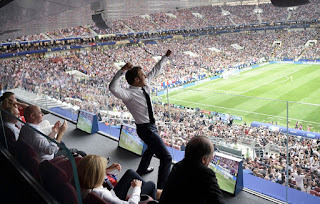 Two astronauts, a cosmonaut and the ball went the distance and will be returned in good time for the same ball to be used at the opening game in Moscow, Russia v Saudi Arabia on June 14. 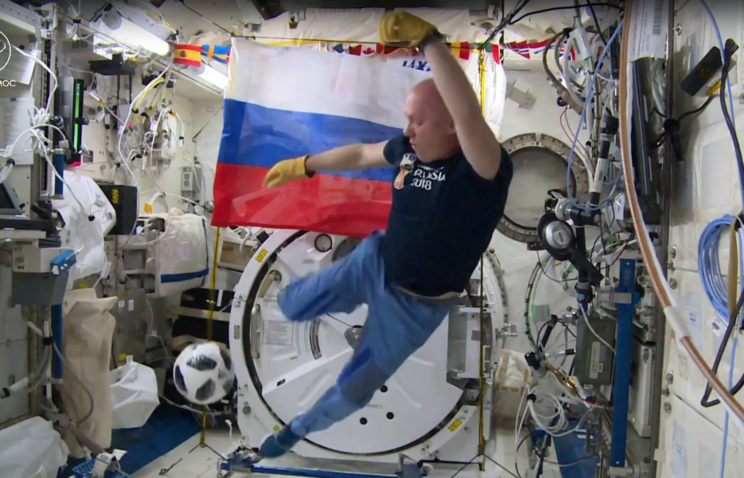 Expedition 55 Commander Anton Shkaplerov and Flight Engineer Oleg Artemyev played an improvised football match aboard the International Space Station (ISS) with the official ball of the 2018 FIFA World Cup TM. The impromptu football match was held in zero-gravity conditions in the Japanese Kibo module of the space station, as both cosmonauts tried to score the ball using improvised targets, such as a square entrance to the US Harmony module. The ball is planned to be returned to Earth together with the crew of the Soyuz MS-07 manned spacecraft on June 3.